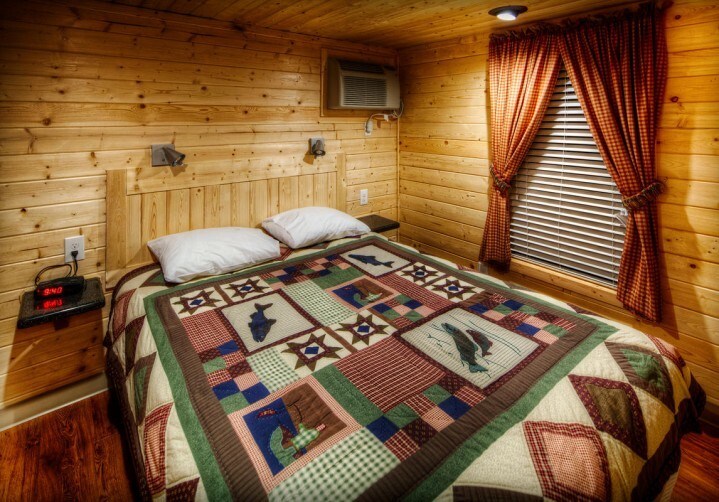 Located on the beautiful Snake River, these cabins are part of the KOA campground, only ten miles from Jackson Hole, Wyoming. 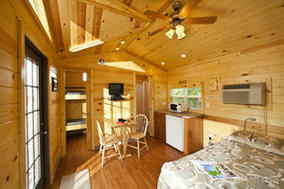 Offering you comfortable cabin options with the bonus of free parking, free Wi-Fi and laundry facilities. 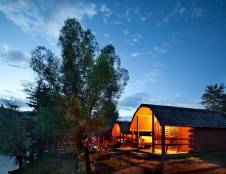 There is also a Gift/Grocery store on site. 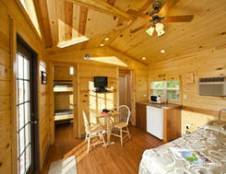 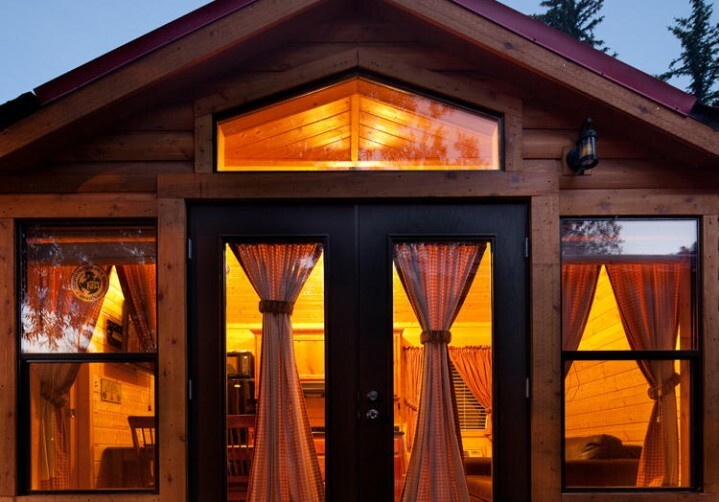 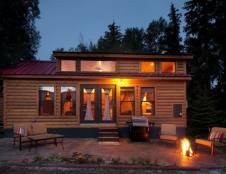 These cabins come complete with an outside grill, fire pit, and linens. 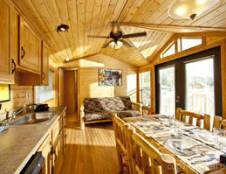 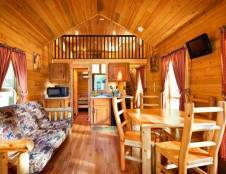 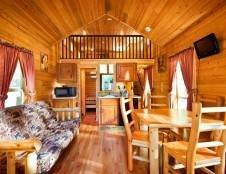 Deluxe cabins overlook Horse Creek and the Camping Cabins overlook the Snake River. 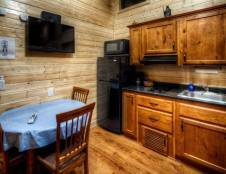 The shared bathrooms for the Camping Cabins are newly remodeled and feature private individual changing and shower rooms. 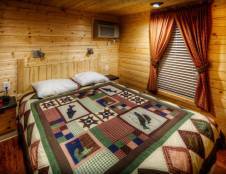 A brand new pet area and playground have been added to the property for your convenience and fun. 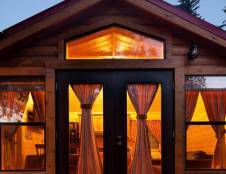 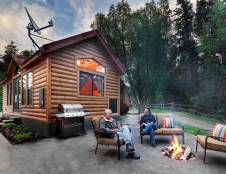 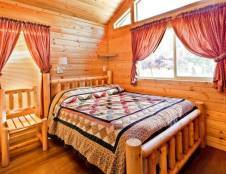 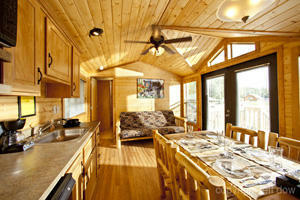 Many activities are available right out your cabin door at Snake River Park Cabins. 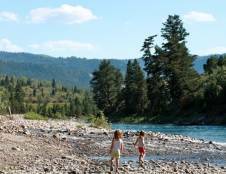 Choose from scenic to whitewater rafting, slinging horseshoes, skipping rocks across the river or roasting marshmallows in your own private fire pit or let the kids burn up some energy in the playground.